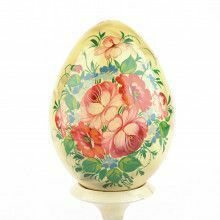 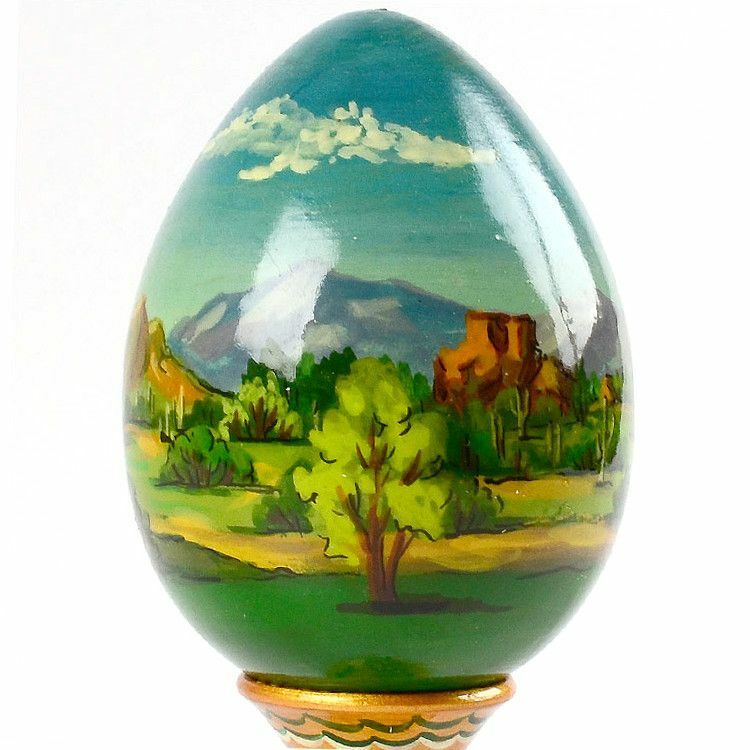 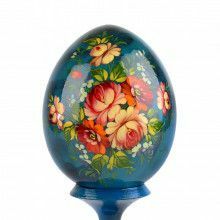 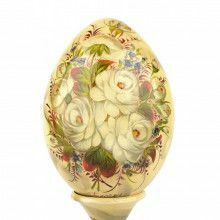 This beautifully painted wooden egg was made specifically for The Russian Store. 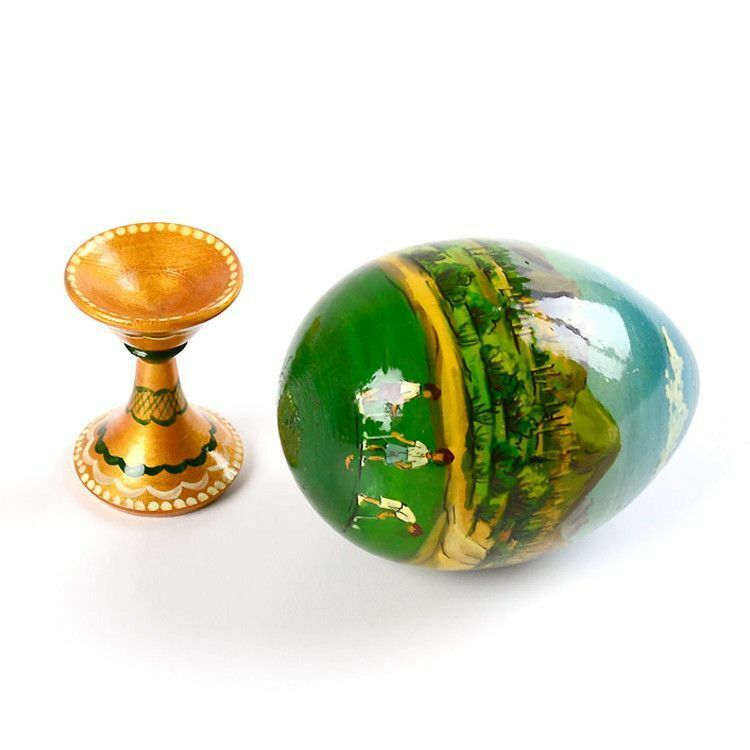 It is 6" tall with the stand, and is quite a unique piece of wooden egg art. 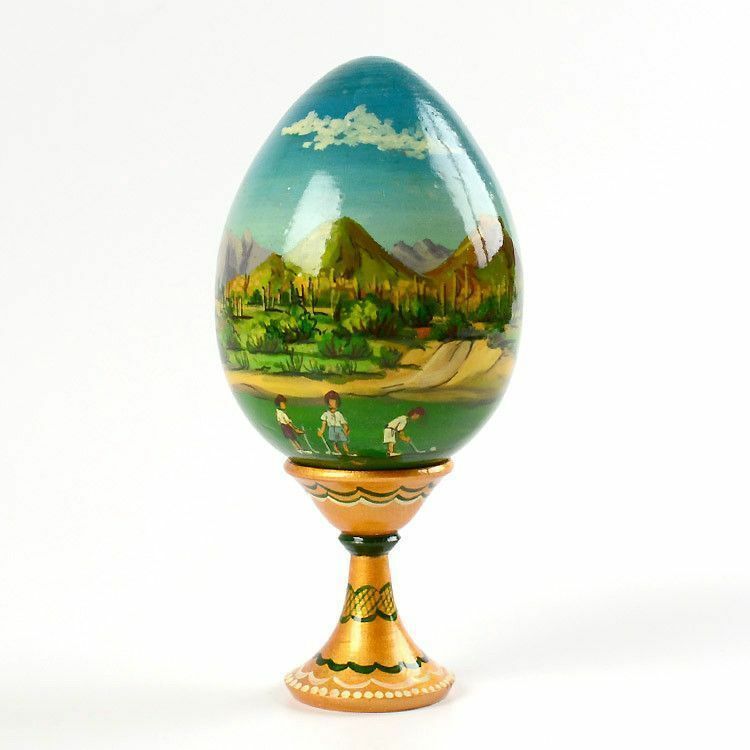 Three golfers can be seen towards the bottom of the egg. 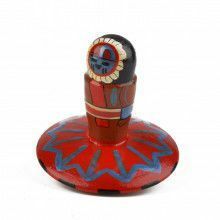 Hand carved and hand painted in Russia.